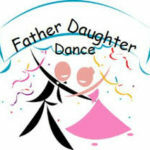 Do you want to have the BEST FATHER DAUGHTER DANCE EVER? Do you want everyone to actually participate and have fun? We preselect specific music just for your event that is FUN, completely appropriate; with a variety of genres, and we stay up to date with the latest trends. (Just like your daughters do!) But, if you’re not a dancer by heart, that still doesn’t make it easier for you. So, here we go! We add in skits, line dances, sing-a-long songs and audience participation games – all with easy and complete instructions. Yes, we are literally beside you the entire time. We do this through the entire show! Now everyone is playing. That’s what you want – that’s what we’ll deliver But Wait – there’s more! We want you to have a perfect atmosphere to surround all these memories. So, we include a professional sound system that is the best money can buy, and a complete light show with all the bells and whistles! NOW WE’RE THERE! Let’s start making unforgettable memories together. Price Quote Notes: The Customer is to provide shelter and all the electricity needed. All price quotes are within a 30 mile radius of 5212 Old Wake Forest Rd Raleigh NC 27609 using Map Quest as a guide. Further distances will have a travel charge of a one way fee of $1.00 per mile. All travel charges apply to one way only.